Using a small, round cookie cutter (mine is 1 ¾” in diameter), cut out circles of pie crust. 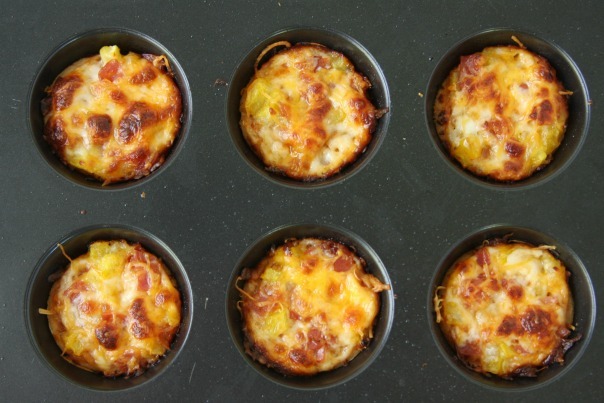 Place pie crust circles in a mini muffin tin. Bake for 3-4 minutes. Add toppings. I like to do a light sprinkle of the garlic-cheese spread, a small dollop of sauce, cheese, pepperoni, peppers, and then a little more cheese on top. 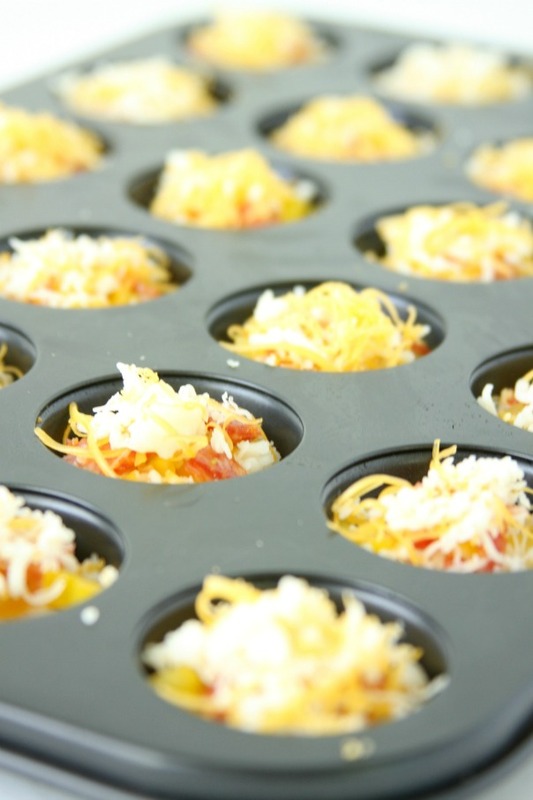 Return to oven for 7-10 minutes, or until cheese is melted and bubbly or lightly browned, depending on your preference. 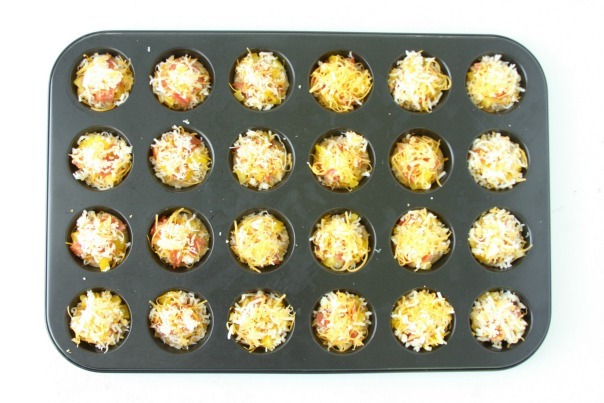 Makes approximately 36 pizza pie bites. The garlic-cheese spread I use is Johnny’s brand (I find it at Costco…it’s official name is Garlic Spread & Seasoning). It’s a blend of garlic, spices and parmesan cheese, and we add it to all of our homemade pizza. It makes it extra delicious! 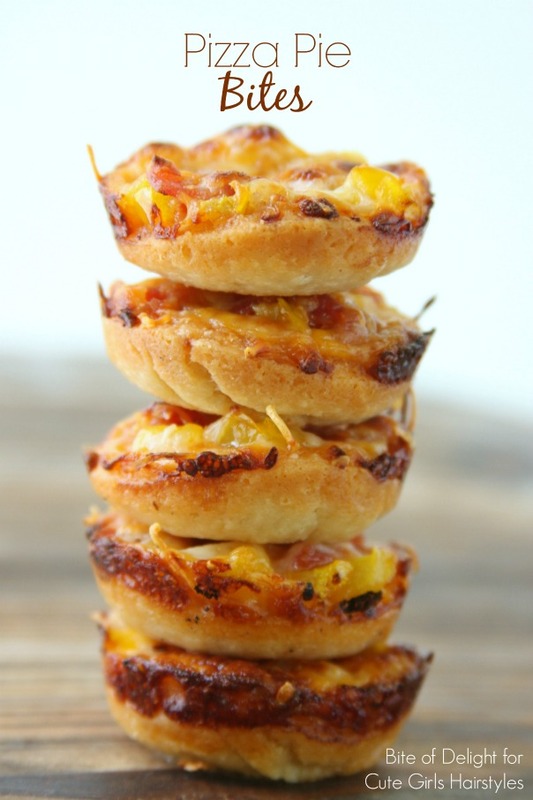 If you use a different size cookie cutter, you will get a different yield of pizza pie bites. Use whatever toppings you like, as long as you dice them small. Anything big won’t fit very well. For more fun and delicious recipes, be sure to visit Bite of Delight!